When you have the choice between a regular old boring zip tie and one with bright green leaves on it which one are you going to chose? Right, the leaves of course! 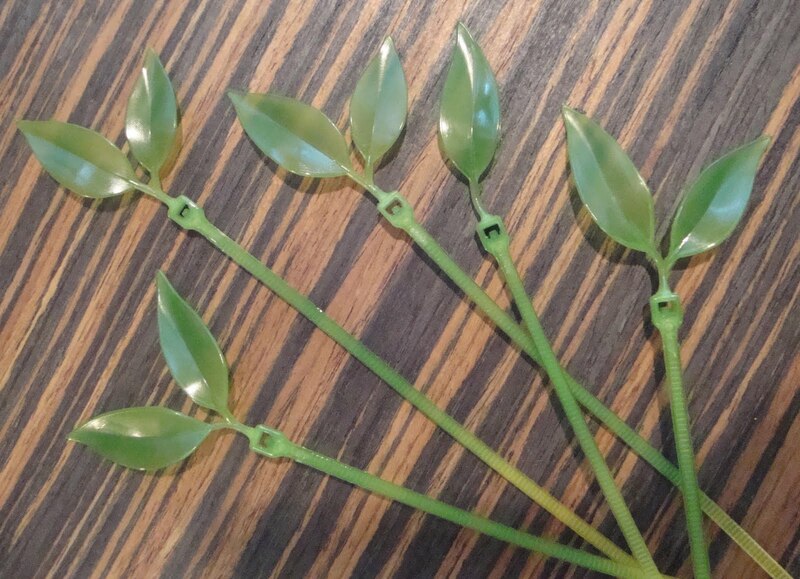 I absolutely hate a mess of cords so when I saw these leafy zip ties ($6.95 for 12) I bought them. 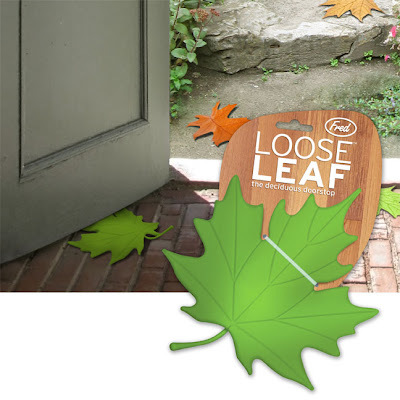 And I wanted to buy this leaf doorstop too, but didn't. If you’re in the Portland area both of these are available at Storables, or they are available online. 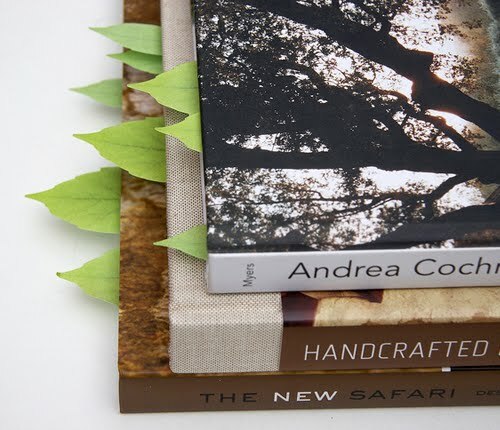 Seeing these reminded me of these leaf post-its on Flora Grubb’s website… I’ll probably need those too. OMG....those leaf zip ties are fab! I will have to get those for the house. What will they think of next? Very cool, indeed. I've been wanting the ties and post-its for ages, but they'd eat into my seed money. Instead I made my own post it's (bit fiddly but fun winter job in front of a movie). Seriously love all those things...especially the post-its...they are going on the "must-have" list right now! What great items for gifts. Or oneself! I love the leaf post its. Beech Street, and they are different too, not all stamped in the same shape..that makes them even better in my book. Grace, oh something even better I'm sure. Cally, that's an ambitious project! scott, is that a long list? Must have the post-its for my Bookies (book club, not race track). Opuntia, have you got yours?